is a great place to stay for exploring and enjoying all the wild beauty and nature of the Central Coast. Big Sur River meanders around in the Park through forests of ancient Redwoods and riparian woodlands. Many fine swimming holes can be found in this stretch of the River. A short hike through towering redwoods, along a babbling brook takes you to Pfeiffer Falls (right). Hiking the back country is like stepping back in time. This is the California before Europeans arrived. San Antonio Valley is a profoundly rich archaeological and ecological area. 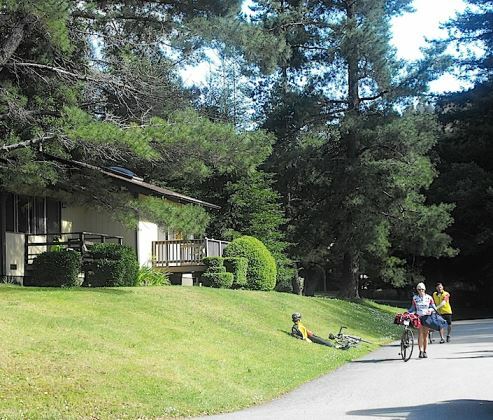 Big Sur Lodge has 62 roomy cottage units. Many with wood burning fireplaces, or kitchens. Some with both. Many of the units can sleep up to six people. Big Sur sunsets are forever. 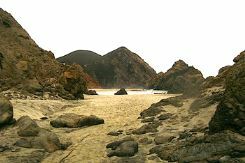 Rates include free admission to the Pfeiffer Big Sur State Park, Molera State Beach, Julia Pfeiffer Burns State Park, and Limekiln State Beach and Park. 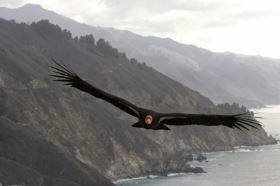 Big Sur Lodge is in the heart of California Condor country. 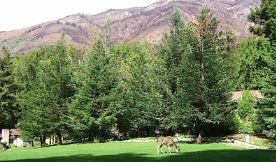 Virtually every day they can be seen from the trails and around the Lodge. Some of the best trail heads of Big Sur’s fabled hikes are at the Lodge. 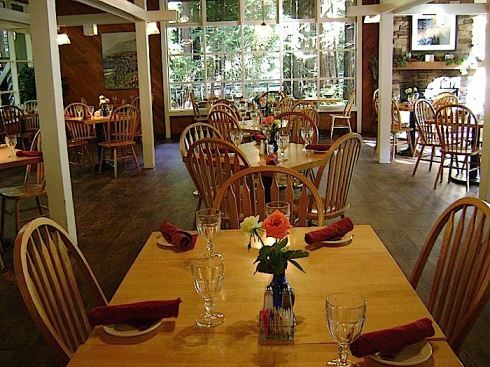 A popular hike through redwoods to Pfeiffer Falls begins at the Lodge. 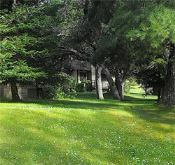 Close to the cottages is a nature interpretative center and historical museum. our sister State Park eleven miles south of the Big Sur Lodge. San Antonio Valley where all periods of California history played out. It is now a nearly pristine natural landscape surrounded by Ventana Wilderness. Please send me the online Pelican Network Guide to Big Sur for guests at the Lodge. I would like a PelicanNetwork member rate. We are planning a special event. We are interested in riding horses through the redwoods and along the Big Sur River and the beach. We are interested in a kayak experience in the Big Sur region. Your guide is Jack Ellwanger, Big Sur Lodge Naturalist and founder of PelicanNetwork. We are interested in an interpretive hike. There is no cost for PelicanNetwork members and donors. PelicanNetwork is a network of community-based cultural and environmental groups in the Central Coast. When you make a reservation with us for the Big Sur Lodge, you pay the same as you would by any other method, and, usually less. Plus you help our work because the Lodge provides support for our mission to advance learning and appreciation for the cultural and natural history of our area. of $10 per night per cottage unit. You can join PelicanNetwork at PelicanNetwork Member. history education advocacy. There is no cost to join. we are considering for the Big Sur Lodge. Big Sur Lodge is a great value. In the heart of all the famous Big Sur greatness, there are 62 large garden cottage accommodations nestled amongst old growth redwoods and oaks. All have decks or porches, some have skylights, wood burning fire places and kitchens. There is a large heated swimming pool – all close to the Big Sur River and the wonderful hiking trails of Pfeiffer Big Sur State Park. 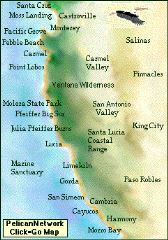 As a guest of the Lodge you have free admission to all the Big Sur Coastal Parks. Check out the Big Sur Coastal Trail Guide. The cottage units have various configurations of bed arrangements. Each is different. They have a king or queen bed, or two queen beds, and some have additional one or two twin beds. One room cottage units can sleep two to four people. Two room cottage units can sleep four to six people. Pelican Network members take $10 off each rate.